Adds a simple spell to the game that will level up your unique items to match your current level. 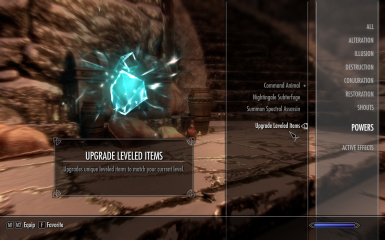 This mod simply adds a single spell to the game that will upgrade unique leveled items to match your current level. 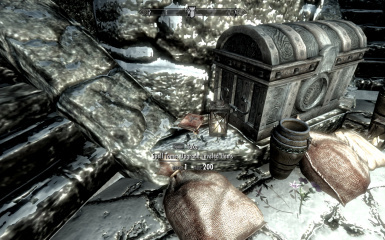 You can find the spell tome sitting to the left of the tribute chest outside High Hrothgar. The item(s) must be in your inventory when you cast the spell in order to upgrade to match your current level. Any player-added enchantments or smithing improvements will be lost when you upgrade the item. This mod is now included in Complete Crafting Overhaul Remade. It will still function perfectly fine when used on it's own, but it isn't needed if you also have CCOR. Certain unique items are designed as "leveled items." This means that there are multiple versions of the item with scaled stats (more damage, stronger enchants, etc). The version you receive is determined by the level your character is at the time they acquire the item. Most of these items are quest rewards or are found through doing certain quests. Since you can only ever receive one version of these unique items, if you happen to do the quests at lower levels, then some of the most interesting items in the game will eventually become much less useful as your character out-levels the acquired low-level version. 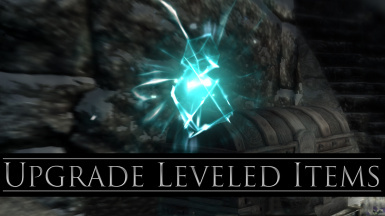 The spell added by this mod will replace any low-leveled unique items that you've acquired with higher-level versions. You don't need to wait to do certain quests in order to guarantee that you get the best version of an item. Now you can do the quests whenever you want, and your unique rewards will now level with you. *For the Amulet of Articulation, I've used the same leveling scale as the Unofficial Patch.